After its supermarket ban by Tesco, Ribena's new ad campaign is targeting adults instead of children. But who should ultimately be held accountable in the drive to encourage healthy living? Sugar: who should be held accountable in the drive to encourage healthy living? You can’t open a newspaper or magazine today without reading a story about how harmful sugar is in our diets. The Department of Health warns sweet food may have to carry labels warning consumers about levels of added sugar, which is hardly surprising considering reports that three million people believe soft drinks and energy drinks are better for them than water. Meanwhile, following its removal from Tesco’s shelves, Ribena has just launched a new ad campaign called "you can’t get any more Ribenary", that is targeted specifically at adults. This begs the question: should brands be held responsible in the war on sugar? Brands should look past the latest demonisation of this or that ingredient, and instead focus on what makes them special and different. It is this that engages consumers and drives loyalty. To really connect with customers brands need to be relevant in their lives at a level beyond product. You can’t fail to notice that sugar is the latest enemy on the chopping block. Headlines like "Sweet Poison" and "Sugar is the New Cocaine" abound, along with government campaigns and TV shows dedicated to telling us to ditch the sugar and we’ll all be saved. Not to mention the millions of diets and books on the subject. Like fat a decade ago, sugar is the ingrédient du jour to hate. Brands are about emotional connection. They need to rise above momentary moral crusades and focus on what makes them different to win the hearts and minds of consumers. Surely it’s the diet and wider food industry that will benefit from this latest food fad? By having a highly lucrative "bad" ingredient to rally around, they can create new products that combat against the "evil" of the day. Low-fat is a huge industry, never mind the fact that low-fat alternatives are often high-calorie and processed. Put simply, product cannot be your driving message or the thing that differentiates you from your competitors. It’s certainly not the reason why consumers engage with you. On its own, product is a rational message and, as the recent industry focus on neuroscience has taught us, doesn’t drive consumer behaviour. Emotional response is far more influential as it affects behaviour unconsciously. Brands that are able to elicit emotion are therefore far more effective. When McCain chips came under scrutiny amid anti-fat and obesity campaigns, it succeeded in changing consumer perceptions of the brand through its packaging. The bright sunshine and rolling landscape imagery transported consumers to a place where chips played a role in uniting their families around a happier dinner table. The brand’s ability to create this perception in consumers’ minds allows it to move away from thoughts of fat content and towards associations with enjoying chips with the family. By generating an emotional rather than rational response it will make it easier for consumers to identify, recall and, most importantly drive brand loyalty. This week Ribena has taken centre stage, as Tesco announced it will no longer sell the cartons, aimed at children, in its stores, due to its high sugar content. This news has thrown the spotlight on to brands and kick-started the debate as to whether sugary brands are the real enemy in the war on sugar. Personally, I think it’s hypocritical that Tesco feels it has the right to take the moral high ground on banning certain drink brands, when it is more than happy to stock and sell all types of sugary foods, from chocolate bars to sugar laden cereals, all aimed at children. However, there is definitely a level of accountability to be laid at the brand’s front door and they do have a responsibility to respond appropriately, yet still be able to maintain their core brand message and product line. In the face of adversity, drinks and confectionary brands have a great opportunity to use their weight and power to educate their audience and support and encourage healthy living to its consumers. On the flip side of this, one could argue that brands also have a responsibility to first and foremost serve the customers’ demands and offer them a choice that’s right for them. Treating oneself from time to time is no bad thing if it’s part of a healthy way of life and brands can highlight this as a way of showing their consumers that they have listened and understood their concerns. Brands can then educate their customers and allow them to make a considered choice that’s personal to them – with all the facts to hand. Brands have a responsibility to play beyond simply providing eye catching products and can actually be pragmatic about how they tackle the growing sugar problem in a clever and considered way. At the heart of this debate is choice. 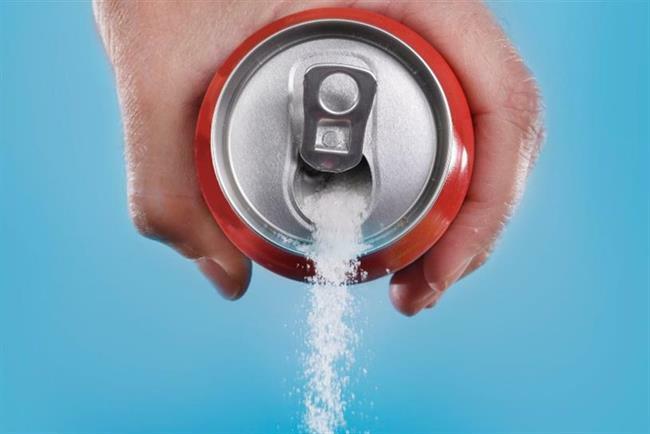 Yes, drinks companies must listen to and engage with its customers’ concerns, but they also must support and protect the consumer’s right to select what they want and need – and sometimes, yes, that might be a full fat sugary drink. When binge drinking topped the news agenda a few years ago, spirit brands didn’t respond by cutting their alcohol levels; instead they endorsed the "Drink Aware" campaign, which encouraged a healthy and responsible approach to enjoying alcohol. As a result of a thoughtful and considered approach, data shows that alcohol consumption has declined over the past few years. Drink brands now have the power and license to respond in a similar way and show that they are fighting the same fight. This will demonstrate that they truly understand their consumers and are there for them in the most appropriate and appealing way.